Slipping and falling in a nursing home is an ongoing problem where many residents suffer traumatic brain injury (TBI), hip fractures or other serious harm. Many of these incidences are the result of poorly trained nursing staff, overcrowded conditions, lack of proper staffing, inappropriate supervision/care and other serious problems. In fact, the elder abuse attorneys at Rosenfeld Injury Lawyers LLC have represented many victims of nursing home mistreatment due to the negligent actions of the nursing staff. Statistics released by the Agency for Healthcare Research and Quality (AHRQ) revealed that nearly 1 million hospital patients and 1.5 million nursing home residents suffer injuries from falling every year. Estimates by the Centers for Disease Control and Prevention (CDC) reveal that approximately 1800 elder residents living nursing facilities lose their lives every year as a result of a fall -related injury. Rehabilitation includes physical, speech, and occupational. The federal government, through its website portal Medicare.gov, routinely updates their nursing home database comparison tool on every nursing facility nationwide. 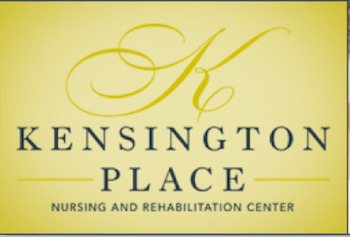 Currently, Kensington Place Rehabilitation and Healthcare Center maintains an overall one out of five stars rating compared to other facilities in the United States. This includes three out of five stars for quality measures, one out of five stars for staffing and one out of five stars for health concerns. One incident was revealed in a 05/15/2015 6:00 PM resident’s Progress Note, that documents the resident’s “blood sugar level was 428 and his blood pressure was 173 over 101.” At that time, the resident “complained of dizziness upon standing and had an unsteady gait.” The facility Medical Director “was notified and ordered [that the resident] be transferred to the hospital.” Upon return from the hospital, Progress Notes dated 05/17/2015 indicates that “fall precautions to be reinforced and [the resident] needs assistance with ambulation. Upon return to the nursing facility with a left femur fracture, it was noted that two days later on 02/25/2016 at 9:30 AM, the resident’s roommate indicated that the resident “was trying to get out of bed” and fell just after the nurse came in the room telling the resident to remain in bed. At the time of the fall, no alarm sounded even though the resident’s Plan of Care noted the intervention of a bed/chair alarm would be used to alert staff of any postural change in the event that the resident attempted to get out of bed unassisted. If you, or your loved one, have suffered serious harm, injury or neglect in any nursing facility in Illinois including Kensington Place Rehabilitation and Health Care Center, Rosenfeld Injury Lawyers LLC can assist you in seeking financial compensation. Our Cook County elder abuse attorneys can ensure your legal rights are protected. contact us today at (888) 424-5757 to arrange for your free, initial consultation to discuss the merits of your claim.